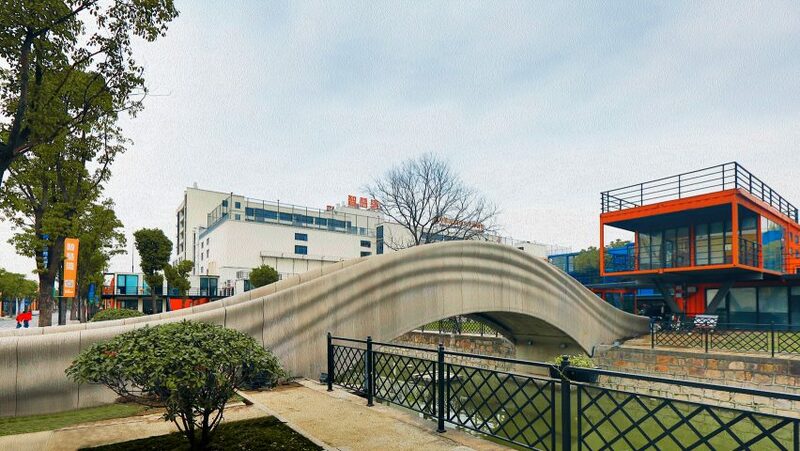 A team led by professor Xu Weiguo at the Tsinghua University School of Architecture in Beijing has 3D-printed a 26.3-metre-long concrete bridge, which they claim is the world's longest. The 3.6-metre-wide pedestrian bridge, which spans a canal in Shanghai's Baoshan District, was installed earlier this year. 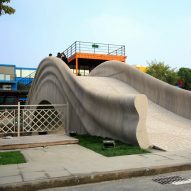 It was designed by Tsinghua University School of Architecture's Zoina Land Joint Research Center for Digital Architecture (JCDA), and built by Shanghai Wisdom Bay Investment Management Company. 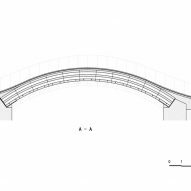 According to JCDA, the bridge's arched form is informed by the 1,400 year old Anji Bridge in Zhaoxian, which is China's oldest standing bridge. 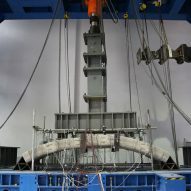 Although based on an ancient from, the institution believes that the bridge marks a step towards the emerging technology being utilised more regularly on real-world engineering projects. 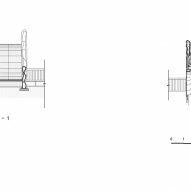 "The completion of the pedestrian bridge marks a gratifying step for this technology from research and development to practical engineering applications," said JCDA. 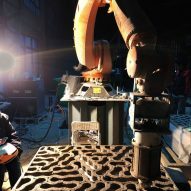 "At the same time, it marks the entry of China's 3D concrete printing and construction technology into the world's advanced level." 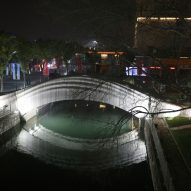 The single-arched bridge was constructed from 176 concrete units that were printed using two robotic-arm 3D-printing systems. All of the components were printed within 450 hours. 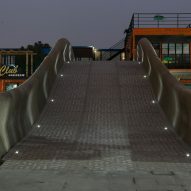 The bridge's structure comprises 44 hollow units, while the deck is constructed from 68 pavement units made in "the form of brain corals" filled with white pebbles, and the handrails are made from a further 64 pieces. 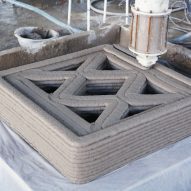 All the components are printed using a composite of polyethylene fibre concrete and admixtures. According to the designers, the bridge was much cheaper to construct that a traditionally built structure. "Compared to a conventional bridge of similar size, its cost is only two-thirds," said JCDA. 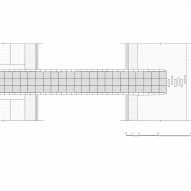 "This is mainly because the printing and construction of the bridge's main body did not use any templates or reinforcing bars, saving costs significantly." The bridge is embedded with a monitoring system that will record how the concrete deforms over time. This information will be used to further help develop the use of 3D printing for engineering. 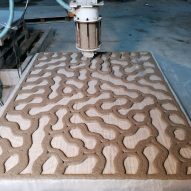 The use of 3D printing in architecture and engineering continues to grow. Last year, the world's first steel 3D-printed bridge was unveiled at Dutch Design Week, while the US army has used 3D printing to create barracks on site. Photography is courtesy of JCDA.